Almandite garnet is a high hardness, high density granular filter media. It can be used extremely effectively as the lower strata in a dual media filter bed. 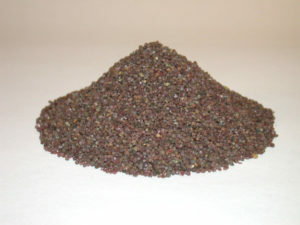 Its high specific gravity as well as its chemical and abrasive resistance makes almandite garnet ideal for filtration. An effective multi-media filter system will utilize larger sized media on top to filter out the larger particulates and smaller sized media to filter out the smaller particulates. Garnet, with its high density, is heavier than most other filter media. Garnet’s higher density provides stability within your dual media bed, allowing the filter sized garnet to filter down to 10 – 20 micron particulates. Filter sand or anthracite are used effectively as the strata of bed. 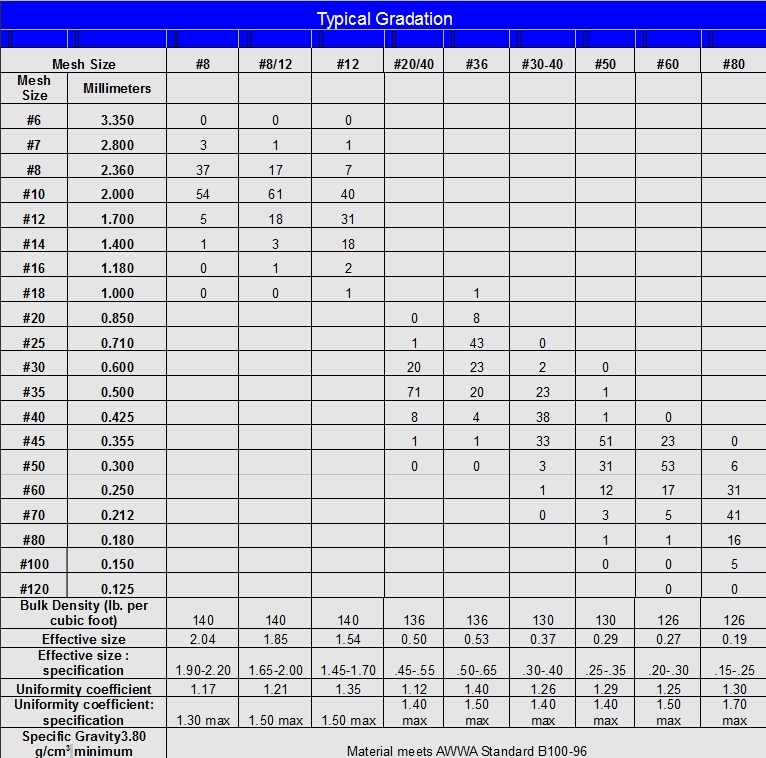 Bulk Density: 120 – 150 lbs./cu. ft. Bed depth: 3 – 5 in. Service flow rate: 3 – 5 gpm/sq. ft.
Backwash flow rate: 15 – 20 gpm/sq. ft.